India is a geographically diverse country with various rivers flowing through its lengths and breadths. I was completely unaware about the history, myths and the actual logical reasoning of the existence of these rivers and I am sure that I am not the only one. Just as I mentioned that India has many rivers flowing throughout the country, most of them are being worshiped and are considered sacred. But what's the actual deal? 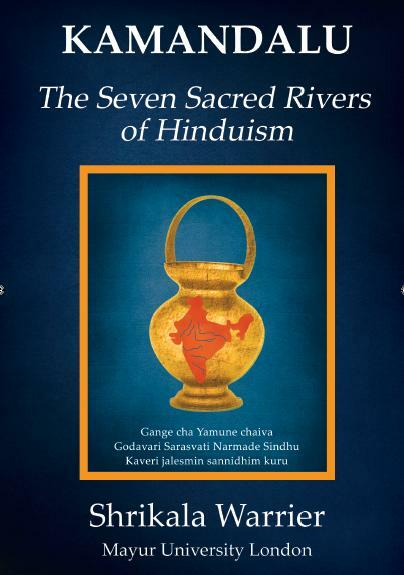 I recently read Kamandalu - The Seven Sacred Rivers of Hinduism and as the title suggests it is about the seven sacred rivers of India, namely Ganga, Yamuna, Sarasvati, Sindhu/Indus, Narmada, Godavari and Kaveri. Just like me, everyone of you would have heard about these rivers and studied a bit of them though only for scoring some marks in the school exams. 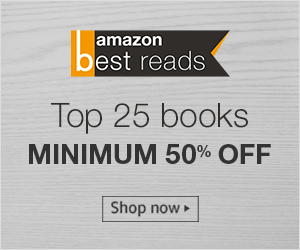 The book is not only about the seven sacred rivers, but it is also about the belief, the faith, the mythology and their existence on earth itself. The book also takes you through different places, specifically in the vicinity of the rivers, that are designated as the tirtha sthaan and the reasons behind their worship as river goddess. The book is written by Shrikala Warrier, who is an anthropologist and is the dean of the Mayur University in London. According to me, she has done a great work compiling the information. The thing that makes the book different to me is the references that it gives and is not a work of assumption or fiction. I would recommend this book to anyone who is interested in knowing India from a perspective that is usually ignored. I would also suggest not reading the book at one go because it has a healthy overdose of information. Read the book, one river at a time.